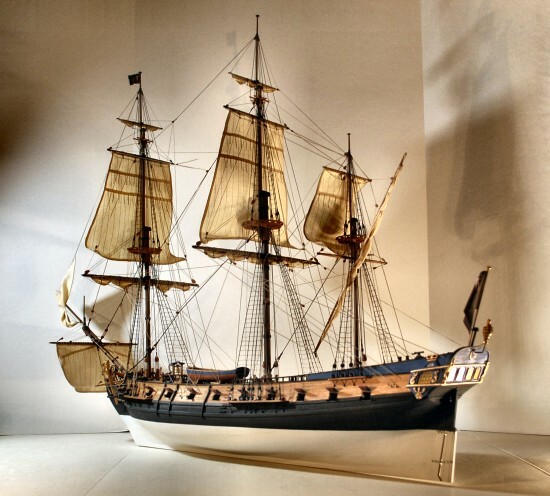 This model has been built and designed to be a French vessel from the early 1700's. Notwithstanding the 'rumors' about 40 guns, she's equipped with 26 guns ready for battle, with a couple of more spares in the hold. 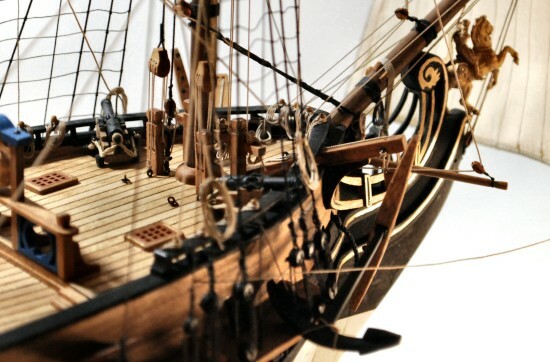 She's carrying battle sail and has a mounted warrior figurehead.